When I see women exercising, I often wonder what motivates them to work out. 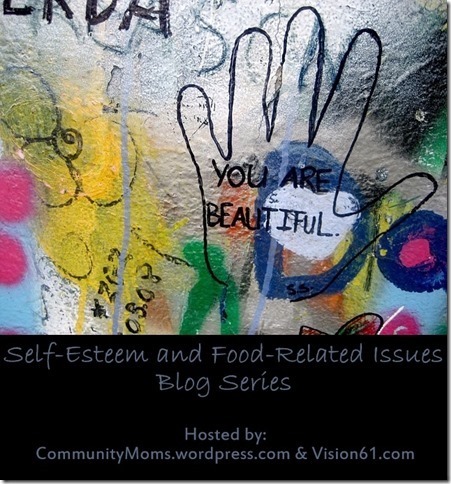 Sometimes it reminds me of a sad chapter of my life — the days when I battled severe issues with body image. For much of high school, I based my worth on whether or not I had a boyfriend. This often led to comparing myself with other girls; against what they looked like or what they wore. One boyfriend broke up with me right before the prom to take another girl, a serious blow to my heart. I believed it meant I wasn’t good enough somehow. Once I arrived in California from New Mexico to attend college, I very quickly began to compare myself to other girls. Many of them looked like they walked out of a magazine photo shoot —tall, blonde and slender. Nothing like what I saw when I looked in the mirror. They were fashionable too, I’d never seen girls my age driving a Mercedes and carrying a Louis Vuitton handbag. I’d never even heard of Louis Vuitton. I felt so plain and insecure. After I had gained the infamous freshman 15, I began to obsess about my body and food. One day I ate a cookie as I studied with friends. Later that night I was so mad at myself for eating it because I felt fat. I eventually started to exercise for at least an hour almost daily. I even walked through a heavy thunderstorm one night to get to the gym. I never had a full-fledged eating disorder: I never threw-up my food or went without eating. But like those with an eating disorder, I had a really distorted view of my body. I obsessed over the choices I made that would affect my weight or the shape of my body. I constantly compared myself to others. Thankfully, the Lord showed me that comparing my body to other girls was a form of coveting. I also realized that in wishing I were different, I told God that how He created me wasn’t good enough. I felt convicted to be thankful that my body worked properly and healthily, when so many others battle diseases and deficiencies. I’ve been in a healthy place for many years now. Once in a while I still look in the mirror and see things I’d like to improve upon, but I no longer obsess about my body and my food choices. God has taught me that it’s okay to be concerned about these things because we are commanded to take care of our temples, but I am no longer consumed by them. Now I want to work out because it will keep my body healthy. I also try to make good choices when it comes to food. I love sweets and try to eat them in moderation, but I don’t beat myself up anymore if I occasionally have a soda or a cookie. So when I see women exercising, I say a little prayer for them. I hope that what’s underneath isn’t a heart that feels obligated to look like a cover model because the world tells her so. I pray that she would realize that God wonderfully designed her and He thinks she’s beautiful. Captivating by John and Stasi Eldredge http://www.ransomedheart.com/p-43-captivating-first-edition-hard-back.aspx. Andrea Fortenberry writes and speaks on marriage, motherhood and women’s ministry. Some of her recent work includes publication in Chicken Soup for the Soul: Devotional Stories for Wives. Connect with Andrea on her website, www.andreafortenberry.com. Andrea, this is a beautiful piece of writing that I can relate to. Thanks for sharing your heart and the message God has put on it! Hi Betsy thanks for such kind words. I’m glad you like the look of our blog. It’s been fun and it is a wonderful experience. I miss visiting you over on your blog. I haven’t been visiting anyone lately. I miss it. I’m creating a balanced time plan so that I can hang out with you and some of the other writers from Compel. Like our dear friend. Abby. Oh how I miss both of your posts. Thanks for coming by today!!! Thank you so much, Betsy! I’m glad you enjoyed my post. Many blessings to you!